My clients are THE sweetest! My husband and I were planning an unconventional wedding and to make things even more difficult, we were planning it from our home in Philadelphia. We were not able to meet any of our vendors in person, including Gretchen, but after speaking with her on the phone, I knew we were going to be in good hands. But we had no idea at the time just how lucky we were to have her capture our special day. Gretchen is absolutely incredible—she is someone you will never forget once you meet her. She has an energy that is so passionate and calming at the same time, and she makes you feel comfortable and relaxed even if you’ve never taken professional photos together (like me and my husband). She has an unbelievable talent for using the natural light and shadows and the surrounding areas to complement each frame. I cannot even express in words what a special gift she has! When we got our photos, I stayed up all night looking at them over and over again, crying over how amazing they are (and I NEVER cry)! Thank you so so much, Gretchen – not only for your patience and kindness, but for your ability to go above and beyond unlike anyone else. We will truly cherish these photos forever and ever. Gretchen is the person you want at your wedding, she went above and beyond at our wedding in Sonoma. She had perfect locations scoped out for our first look, family photos and sunset session. She is amazing at making everyone feel comfortable and then capturing the perfect moments. Somehow she blended into the crowd while never missing a special moment. She helped us put together our timeline and picked the perfect time to sneak away when the light was golden. So much planning and preparation goes into wedding planning for one day but Gretchen's photos make the day last a lifetime! WOW!! I've been trying to find the words to express the amount of gratitude that we have for these amazing memories that you created for us. I was showing the images to Shira's Aunt earlier today and she was in awe. Among her other praises she said, "these aren't just photographs - they're art" and "this is the type of photographer you fly out to NY or wherever you are to photograph your wedding" and I couldn't agree with her more. Thank you so much for your thoughtful words and tribute to our love in your message, you continue to make us feel so wonderfully special. Shira and I had a long day and literally just finished watching the slide show together for the first time and every single moment and emotion (yes the tears, the many many tears) came back to us as if we were there again! You seriously have a gift and to call it talent would be an understatement. Plenty of talented people can capture a beautiful moment but with you it's different. Your warmth, kindness, and love projects through the lens and shines upon your subject(s) to capture the essence of those qualities in every moment and that makes your gift pure magic. I read one of your past Instagram posts today and learned a bit of background about your journey and some insight about why it's so important for the couples to answer the questions you ask before working with them. Let me just say, I'm so glad Shira was the one that responded to the questions because I probably would've sounded like a crazy person and I'm certain you would've passed on us. Lol. I'd be remiss if I didn't add that you are such an incredibly brave and strong woman. I can't begin to imagine how difficult it must have been to experience the loss of someone you loved so much. For you to be able to put so much of yourself into each wedding that you photograph not only makes us feel honored to have been able to work with you, but elated that you are now a part of us and our journey forever and vice versa. Thank you again so, so, so much!! You are truly one of a kind!! Gretchen is absolutely amazing, not only as a photographer, but as a person. She is personable, friendly, and is one of those people who radiates positive energy. On top of that, her use of light and shadow is far superior to many other photographers, particularly if you are looking for a wedding photographer - she captures intimacy in a way that many other photographers cannot. What stood out to us about her work is that most wedding photographers take the "light and bright" approach - very exposed / over-exposed wedding photos that don't utilize light effectively and artistically to capture the moment. She's also very easy to work with - my husband doesn't know how to smile for photos (think Chandler on Friends - he does more of an awkward grimace), and Gretchen captured so many great photos of him with a real smile on his face by getting us to laugh and interact in a way that didn't look awkward on camera. She is super fast on email (communication is so important!) and super fast with her turn around time (we received our wedding photos just 1.5 weeks after the big event! ), and we've heard nothing but compliments about how beautiful her photographs are. Your wedding photographer is an investment that you should not skimp on, and Gretchen was 10000% worth the investment for our wedding. Her work is amazing and her prices are very fair. Thank you Gretchen, and I hope we can work with you again! I've been waiting anxiously to write Gretchen's review. I hadn't gotten my photos yet, but wanted to write one anyways because her calming, organized, FUN, and beautiful presence on the day of our wedding was enough for me to sing her praises. She created a calm and celebratory environment, even in spite of a scattered family and slightly-buzzed bridal party. But it didn't feel honest to write a review before I got my images ... well, we received our photos yesterday and I am SPEECHLESS. I didn't think that the other-worldly kind of joy I felt on my wedding day could possibly translate into photographs, but Gretchen somehow pulled it off. Our pictures are genuine, candid, organic, and clearly the product of an artist who has the patience and vision to capture the perfect moments. I wasn't convinced that I even cared about pictures on the day of our wedding, but now they're the most precious thing I own. The only thing I would differently would be to invest in the largest package possible with Gretchen, so I could've captured every moment of our wedding weekend. Gretchen is incredible - both as an artist and a person. Other than saying "I Do", choosing Gretchen to be our photographer was the best decision I made on our wedding day. Gretchen is dream. And she's funny. And just straight up cool. From the moment we met her for our engagement shoot at our apartment in San Francisco, she immediately felt like a close friend. She has this thing about her that instantly makes you feel comfortable and not-awkward [which I usually feel in front of the camera]. I cherish the photos she captured at our wedding and how real they are. She was always there to get the right shot/moment but did so very behind-the-scenes. Her stress free/loving attitude, organization, and creative eye delivers the most unique and special photos, and I cannot wait to work with her again one day. Gretchen Gause is a true artist. Her style is like no other. She has the ability to capture so much emotion in one image. I found Gretchen while scrolling through Instagram. I fell in love with a single image of hers and knew then that I had to meet her. After corresponding through email we met in person. Right off the bat Gretchen is warm, super approachable and genuinely wants to get to know the couple she is working with. She also has this cool-artsy vibe about her which I loved We were able to work with her for both our couples shoot and our entire wedding day. She came to our home for the couple’s shoot and we moved to the Marin headlands where we originally got engaged. Gretchen is an expert! She contributed greatly to our detailed wedding day timeline and took the lead on timing for all photos as well as organized a shot-list to make sure all formal photos we wanted were captured. She is a master of light! 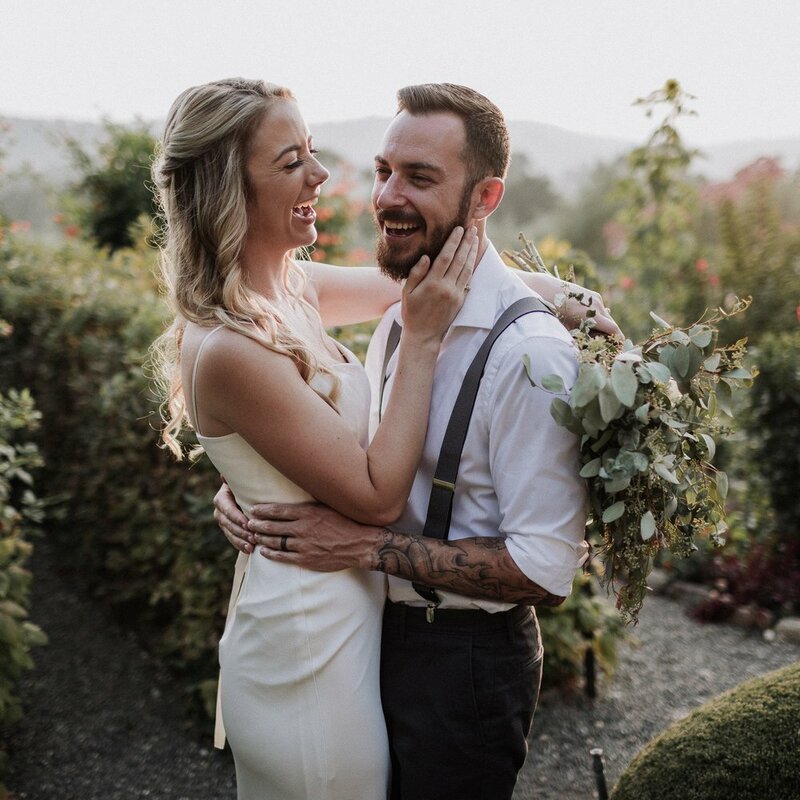 We really wanted some images among the rolling hills as the sun was setting and she had impeccable timing in capturing these shots while keeping in mind that dancing at our reception was a priority for us. She was able to tell the story of our wedding day so organically. We have such great candid shots of our guests, images of every detail of our wedding and intimate moments of my husband and I. When I go through the gallery of photos I truly feel like she captured the feel of the day! She didn’t miss a thing and even caught things that we missed. My family and friends were drooling over wedding photos and agreed that she captured the day exactly how it happened. You can really see the happiness in our photos. We feel lucky to have worked with Gretchen and would highly recommend her for wedding photos and more! We cannot recommend Gretchen enough. We had a strong feeling when we met her, and even though her services was a little over our budget, we decided the extra cost was well worth it. From when we hired her to the day of the wedding, she took time to get to know us, listen to what we were looking for, and quickly responded to our inquiries, especially when it looked like rain would change our entire shoot. We were impressed by her professionalism and warmth, and she is extremely easy to work with. 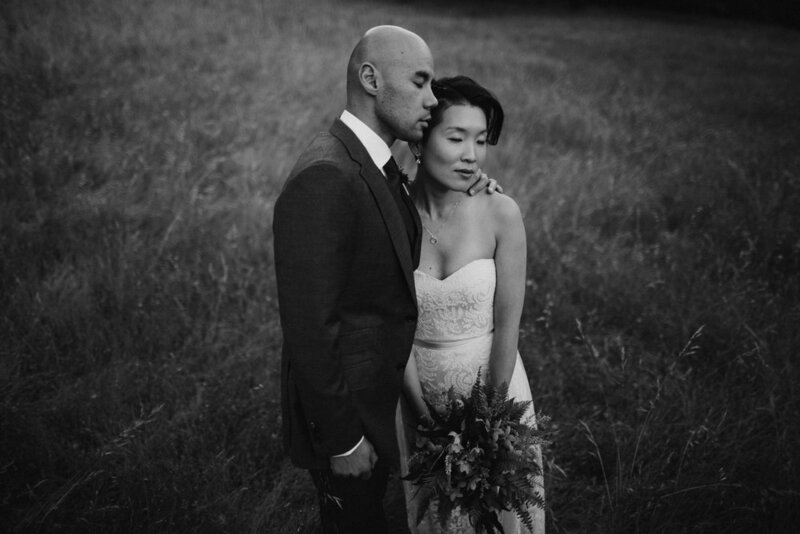 We received our photos in a timely fashion, and we could not be happier with the results. In searching for photographers, we were extremely wary of our images looking too posed, too saturated, too saccharine and corny; Gretchen took great care to make our photos look natural, candid, and almost ethereal. We were so lucky to have her!